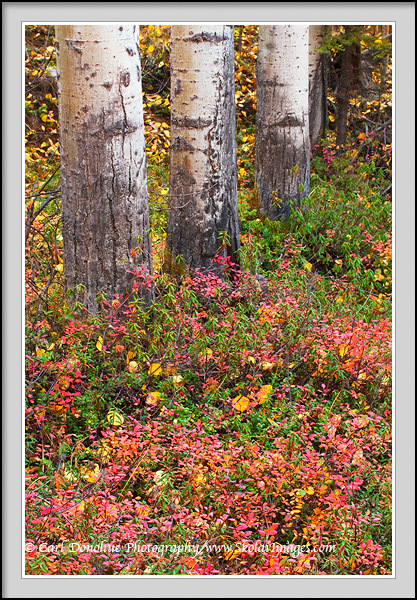 A quick visit back to September; the boreal forest is a melange of color in the fall. 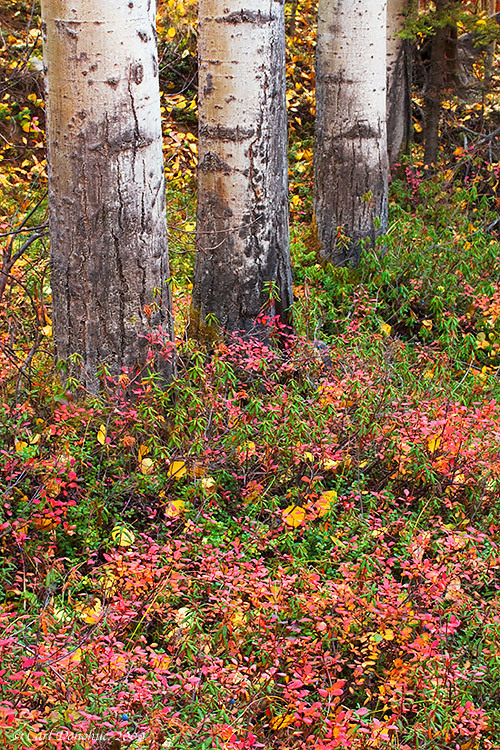 The vibrancy of the Alaska woods in the fall is a function, perhaps, of the speed at which the dramatic changes take place. The green foliage of summer glimpses the oncoming winter and is gone in the blink of an eye; one last hurrah of color before settling in, nestled beneath the whites of winter. This entry was posted in Abstract Photos, Alaska, Fall, Forests, Wrangell - St. Elias National Park and tagged autumn, Fall, foliage, forest, Landscapes, Wrangell - St. Elias National Park, Wrangell - St. Elias National Park and Preserve, Wrangell St. Elias on December 7, 2009 by Carl D.
Subtle color against the repetition. Nice. Love the three trunks Carl. What is it about the number three that makes compositions so much better?